From an article on Digital Current, Rebekah Radice shows 8 experts that reveal the best ways to generate leads with content marketing. You will learn how successful people use methods to get leads, and then how to apply these methods to your business to get the leads. It’s time to promote that content to your social sites. Just like in the Lead Generation Idea #4: Share Lead Magnets on Social Media. The share buttons are not only for your visitors, it’s your content promoted them. Also, you can also have it done for you, in set intervals, changed and modified. Ask me how: Contact Us! Enjoy the article on content marketing and take action! Improve your struggling content marketing strategies with these eight lead generation ideas from the experts. You’ve heard the buzz about content marketing. But are you maximizing its lead generation potential? Probably not. According to Content Marketing Institute, only 9 percent of businesses deem their content marketing effective. A sad reality when you consider that content marketing costs 62 percent less than traditional marketing and generates three times as many leads. That’s why we’ve gone to the source to bring you expert solutions to your biggest challenge. No more stumbling around in the dark! These eight experts reveal the best ways to generate leads with content marketing without expanding your budget. If you have a product or a service to sell, it isn’t appropriate to jump into a sales pitch and hard sell. People don’t actually care about your product right away. They don’t even care about the features. They care about the outcome; how can it change their lives? One way to address this is by creating valuable content that discusses the pain points and a solution. It’s common practice for marketers to create a blog with seven ways to do this or six ways to do that. And while blogs often work like a charm, people are starting to decline from reading 900+ word articles. They want content that entertains them. That’s why video marketing was born. Most people (like myself) learn visually. That’s why most of us love to watch television, movies, and videos on YouTube (the second biggest search engine). In fact, we love to be entertained and inspired. It gets us more involved. So if you want to touch lives, put your story into a three- to five-minute video. Make it simple and speak from your heart. Cover several main points with a call-to-action, then share it. And remember that people don’t buy from companies, they buy from other people. If you want to generate leads faster, leverage the power of video. Video doesn’t have to scary. It also doesn’t have to feel overwhelming to put together. First, figure out how you’ll use video in your business. Here’s an easy way to come up with answers to the most pressing questions of your audience. What does your business/product do to make your clients lives better? How did you become known for the problems you solve? Next, it’s time to get clear on your goals. Video can be used for a variety of reasons: to raise awareness, drive traffic, create conversation, and drum up sales. Depending on your goals, here’s a list of the top ways you can use video to connect with the right audience and get them to take action on that important next step — becoming a lead. Create a short video with a tool like Animoto to share one tip that you gleaned from your answers above. Show your audience how to use your product. Walk them through the best way to make the most of your tool or service. Answer weekly questions from audience submissions via social media. Go live with Facebook, Instagram, YouTube, Periscope, and more. Share a behind-the-scenes look into your business. Always make sure you’ve determined the ultimate goal for your video and that you make it clear to the viewer what their next step is. If you’re looking to generate leads through content marketing, you must demonstrate through the vehicle of your words that you are innovative and disruptive and offering something that differentiates you from the pack. Content marketers are a dime a dozen, what makes you so special? Setting yourself apart from your competitors in content marketing is a make-or-break strategy. Until you answer honestly what makes your brand, business, product or service unique, you’re simply a “me too” brand in a sea of immense competition. When creating content, be keenly aware of your target market’s pain points. Set up your brand as the trusted advisor or mentor, and position your prospects and customers as the hero. Make sure your content is built around a cutting-edge, pressing topic or pain point. Content not only needs to be on-topic, but also offer actionable solutions. Set yourself up as a thought leader. Thought leaders are a part of the conversations happening right now. To be an active participant in the conversations going on currently, you must offer creative and innovation solutions to your prospects’ and clients’ most pressing problems. Take time to get to know your audience and understand what their needs and pain points are. Go to Twitter to begin your research. What you’re looking for are the top questions asked around a specific keyword. Let’s say you’re in tech, you might search “mobile” to see what your potential clients are talking about. To do this, enter your keyword in Twitter search with a question mark after it. You need the space in there to perform the search correctly. Once you know that, create content that specifically serves those needs and problems. Give your audience exactly what they need and they’ll love you for it. Whatever information or content you choose to share, keep it consistent with your brand and present it in a way that sets you apart from the same ‘ol, same ‘ol content out there. One of the best ways to generate leads from content marketing is by offering valuable information in exchange for a person’s personal data. Whether prospects need to provide their email address to access a white paper or watch your latest video tutorial, consumers are more willing to share information about themselves when they get something in return. Like any tactic, don’t overdo it. Instead, build out a clear, purpose driven strategy for content marketing and include this tactic as one aspect of your approach. Create a piece of content that your audience can benefit from. It can be an e-book, an infographic, a downloadable worksheet, video guide, webinar, etc. Next, make sure to create an attractive landing page that makes it easy for people to opt in and get this piece of content. All you’ve got to do now is link to this landing page and promote! One idea that many people miss for lead generation is tweeting or socially posting their lead magnets. Lead magnets can live on your blog post or your squeeze page, but don’t miss the opportunity to grab your social media followers by sharing your juicy download on Twitter, in a Facebook, or Instagram post, and especially on a Pinterest pin where it can be shared over and over. The social opportunity to connect with your current audience’s friends and network is a solid way to grow. Your followers love your content and their network might too! Create three unique social posts for each lead magnet. As they say, variety is the spice of life. It’s also the spark that will fuel engagement on your social content. Create one link post (link to the lead page) with the title as is, one with a quote from your content, and one that’s an image with the title of your lead magnet. Now repeatedly share these on all of your social sites. If you use a scheduling tool, such as Post Planner, you can add these posts to your queue and set them in rotation. It’s also a great idea to pin your lead magnet post to the top of your page feed on Twitter or Facebook so it’s the first thing people see. The best way to generate leads with content marketing is to create assets (infographics, e-books, webinars, whitepapers, etc.) that are more valuable than any others in your niche. By becoming the authority and the go-to brand, you’ll become the gold standard. Generate leads by giving away these valuable assets in exchange for email addresses. We all know that email marketing is still one of the most effective ways to market online. Your goal is to deliver the right content to the right person at the right time. Every time someone gives you their email address, it’s a sign of trust. They are trusting that giving you their email address in exchange for your asset is going to be worth it. Make sure your content marketing assets address your customers/potential customers’ pain points (that’s what makes it useful and valuable). For example, resist doing what many marketers do and stuff your infographics with statistics. Instead, create solutions and solve problems. In order to do this, you have to understand your target market on an intimate level. You have to feel their pain — only then can you create solutions. Once you’ve used this content marketing strategy to generate leads, respect them. Generating leads with content marketing is only half the battle. After that, you’ll need to nurture those leads as they move through their journey with you. Look at every piece of content as an opportunity to build trust with your audience. And above all else, be respectful. There’s no one-size-fits-all solution for generating leads with content marketing. That’s why it’s important to watch your data. Based on your data, you can do more of what works and less of what doesn’t. Follow these tips and you’ll be on your way! Build out an asset based on your Twitter research. What’s the top problem you can solve? If the question they asked was, “how do I capture more leads from mobile devices?” Write a short white paper on the exact steps they need to set up to create a mobile marketing funnel. Once you have email addresses, it’s time to start nurturing these leads into real customers. Do that by creating a workflow that nurtures, creates awareness, and activates your new lead. 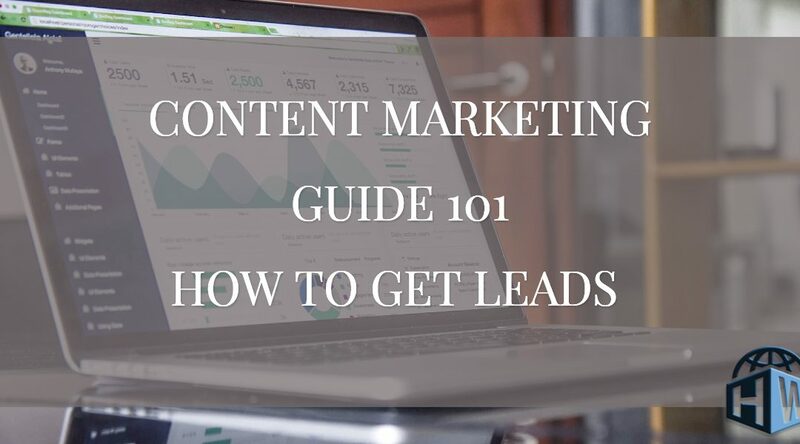 To generate leads that are ripe to convert into prospects and eventually sales, your content needs to provide VALUE to your visitors. You must harmonize all of the above for a robust sales funnel that minimizes leaks! Look at your analytics for information on what your audience’ interests and pain points are. Know what content they engage most with, as well as when and where they do it. Go to Google Analytics, Facebook Insight, and Twitter Analytics to review top performing content. What’s the common theme? Could you create a unique piece of content around that topic and then smaller “bite sized” lead magnets to include in your funnel? The key is knowing your audience and then giving them EXACTLY what they need, where they need it, and when they need it. The best way to generate leads with content marketing is to survey your existing top clients. Ask them what their interests and habits are. Produce content that serves their needs. Then share this on platforms where your clients are at. Use a tool like Survey Monkey to gather information about your current customers, their satisfaction with your company or product, and a deep dive into what more you can provide. You can do this by creating a survey and sharing it on your website, social media, and asking in person (if you’re a local business). As you send these out, collect all responses in one location for review. Armed with data, create content that appeals to your current customers, guaranteeing that it will also appeal to your future ones. While it may seem advantageous to cast a wide net — writing about a broad range of topics that might appeal to your audience — the reverse is actually true. The more narrow and focused your writing is, the more effective it will be. When you answer deep, specific questions about your niche, you’re presenting yourself in a far greater authoritative position, and addressing the kinds of “bottom of funnel” topics that will have a higher chance of converting readers into leads and leads into prospects. That’s when content marketing becomes truly effective. Choose a topic that’s relevant to your audience, and one that you’re an expert within. Now do your research. Go to BuzzSumo, type in your keyword (narrow focus topic), and see what’s been written about already. What about those topics made them spread like wildfire? Find commonalities and then do your typical keyword research. Refine your search to find keywords that you can reasonably rank for. Now sit down and write a blog post, create an e-book, or put together a small online course. Share your in-depth knowledge and expertise on that specific topic to position your business as the industry leader. Which idea will you take and implement? I’d love to hear how you’ll use these eight expert ideas in your business! 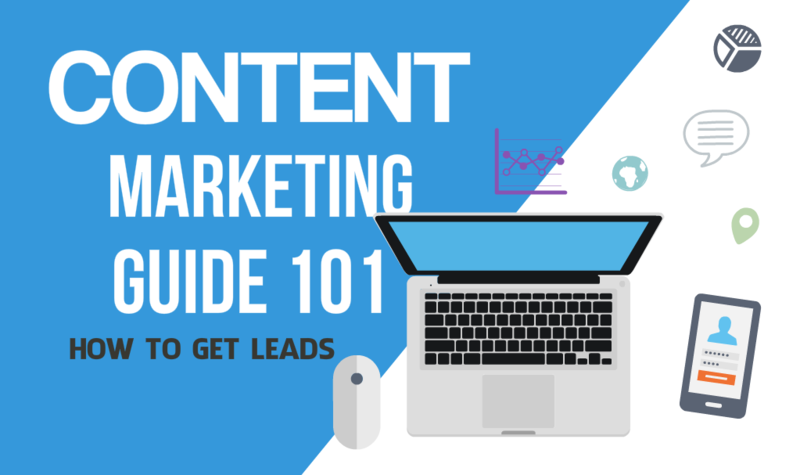 What Content Marketing Strategies Are You Using to Generate Leads? Let us know by commenting below, share ideas, share this content, ask a question….